whilst reducing the risk of cross-contamination from pieces of card. 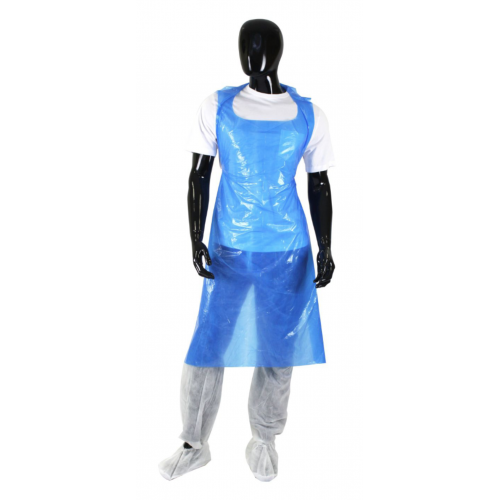 •	Hygienic disposable polythene apron. •	Compact rolls are easy to store. helps to reduce laundry costs. •	Less storage space is taken up in the warehouse/store room. •	Efficient dispensing of a single apron helping to reduce wastage. 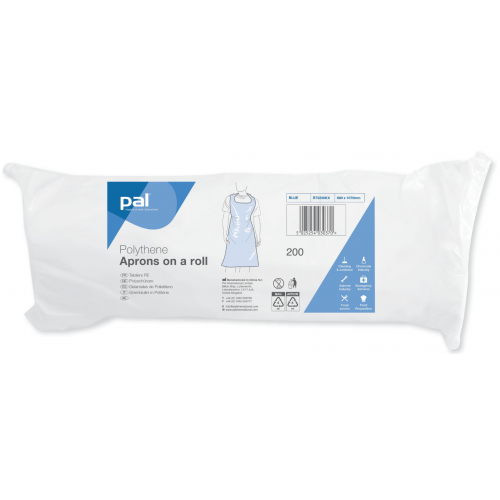 These PAL Polythene ’Aprons On A Roll’ are designed for convenience and hygiene. With simple halter neck and waist tie fixing it is quick and easy to slip aprons over clothes to provide maximum protection whenever required. Produced from material that is safe for use in food environments, Aprons On A Roll are suitable for use in HORECA (Hotels, Restaurants and Catering), food manufacturing and healthcare sectors; but are also suitable for a wide range of tasks, including: janitorial duties, first aid, medical procedures and catering tasks.